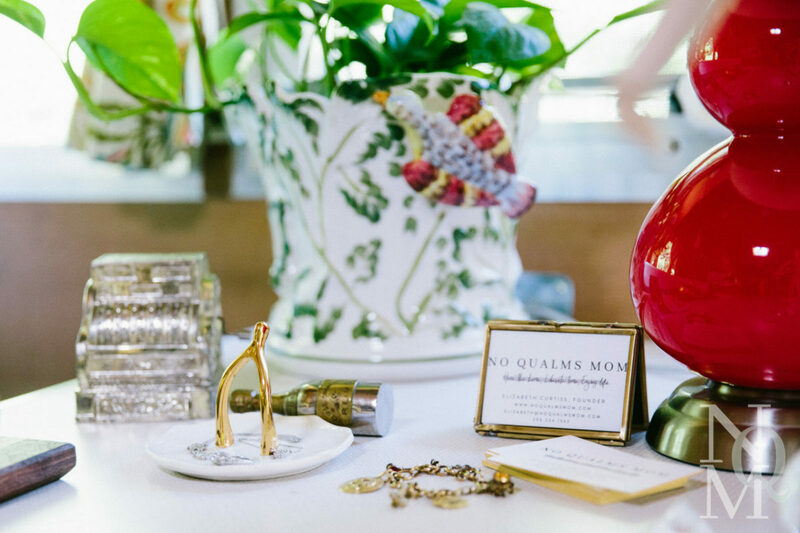 Come on in and take a look at No Qualms Mom HQ! It’s pretty unusual…our office is inside a Shasta Airflyte Travel Trailer! Last year when I started the journey towards launching NQM, I struggled at first with where to be most productive. Those of you with children know that it can be a huge challenge to be productive with little ones around, and the same goes for folks working from home where there’s a never ending to do list of mundane tasks to be done. I tried a few spots in my house before a friend suggested I use our travel trailer as an office. What a difference it made to be removed from the house and it’s nagging chores starting at me as well as my then 4-year-old coming to show me things and chat! And it helped my nanny keep Reina focused on what ever art, game, or worksheet she should be concentrating on instead of wanting to visit me. I took time to set up the work space thoughtfully because there were space constraints and the trailer was a blank slate since we had not owned it for long thus hadn’t decorated it beyond the stock items that it came with. While I’ve decorated my fair share of offices, both for myself and for clients, I had never based on office off of Feng Shui principles until now. I was very concerned about productivity so the lure of better flow and a calm work environment that Feng Shui promotes got me interested. Any Friday Night Lights fans out there? If so, it’s basically the arranging concept of clear eyes, full hearts, can’t lose! Sounds corny I know yet there’s something about having a space that flows well that seriously does free your sight/mind and make you feel better. It’s been about a year since I’ve finished it and it’s proven to be a high functioning, creativity inducing office space, so I’d wholeheartedly recommend using Feng Shui concepts when organizing your office. Take a little stroll through my photos and tomorrow I’ll give you the skinny on Feng Shui offices in Part 2 of this feature so that you can take the natural break of the New Year to get organized and create a great work space too!